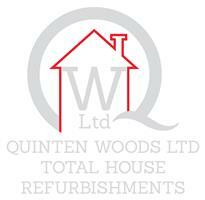 Quinten Woods Ltd - Bathrooms, Builder, Kitchens based in Wrecclesham, Surrey. Welcome to Quinten Woods Ltd. We are an experienced, premier building service based in and around the Hampshire/Surrey border area. We offer a reliable First Class Service. We provide a trusted professional service throughout the local area, including Farnham, Fleet, Haslemere, Alton, Guildford, Aldershot, Farnborough and Camberley. Quinten Woods Ltd specialises in domestic and light commercial work. We carry out a range of residential and business building projects including: extensions, kitchen installations, bathroom installations, plumbing, heating installations (sub contracted), boiler replacement & boiler repair (sub contracted), carpentry and joinery and electrical work (sub contracted). Past commissions have ranged from nursery schools refits to gymnasia refurbishment as well as luxury bathrooms and kitchens in some of the most desirable residences in Farnham and the surrounding area. We have been in this industry for over 25 years; Offering our trademark friendly, reliable and efficient service. Quinten Woods Ltd are well known and trusted throughout the local area for our experienced, polite, clean and tidy installation and fitting service. We are proud of our reputation for a high standard of workmanship. We offer free estimates and all of our materials and work done is of impeccable quality. Quinten Woods Ltd are City and Guilds Approved, GAS SAFE Registered (Sub Contractor 126643) and for your peace of mind, Quinten Woods Ltd are fully Insured. So if you need a Qualified Carpenter , Trustworthy Heating Engineer, Electrician or a Reliable Plumber call us today! If the service that you require isn't listed above please give us a call on 07973 308 042 I'm sure we can help!